A Mark Jackson personal appearance, Mark Jackson speaking engagement, or Mark Jackson endorsement will reflect well on your company. To hire Mark Jackson now for any corporate appearance, fundraiser, motivational speaker event, personal appearance, autograph signing, or website endorsement please contact our celebrity agents at 1-877-6-SPORTS. We will contact Mark Jackson or contact Mark Jackson's agent and provide you with the booking fees and availability immediately upon your request. Direct Sportslink is the only sports speakers bureau and talent booking agency based in the United States securing only sports talent for corporations, associations, and organizations for motivational speaking engagements, personal appearances, and endorsements. We are the premier sports celebrity booking agency and a sports celebrity procurement expert. Accordingly, we will provide you with any relevant Mark Jackson website information and booking agent details so that you can hire Mark Jackson for your next event. Jackson played point guard for the New York Knicks, Indiana Pacers, Los Angeles Clippers, Denver Nuggets, Toronto Raptors, Utah Jazz, and Houston Rockets in the NBA in a career spanning from 1987 to 2004. After being drafted as the number 18th overall pick in the 1987 NBA Draft, Jackson went on to win Rookie of the Year in his first season and later become an All Star the following season. 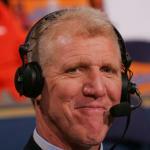 Since retiring from basketball, Jackson has also worked as a commentator for ESPN and ABC alongside his former coach Jeff Van Gundy and play-by-play man Mike Breen. He was previously an NBA analyst for The YES Network's New Jersey Nets games and a member of the St. John's University mens basketball team in the 1980s. 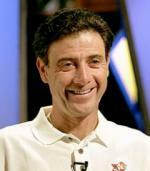 On June 6th, 2011, Jackson was hired as the new head coach of the Golden State Warriors. 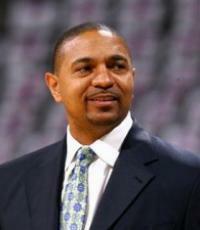 Based on your interest in Mark Jackson as a speaker or for a personal appearance, Direct Sportslink has provided you additional links below for other sports talent with similar appearance fees, speaker topics, and categories that match Mark Jackson.